Gula Sel er valsvæði sem er hugsað fyrir börn sem vilja hafa það rólegt. 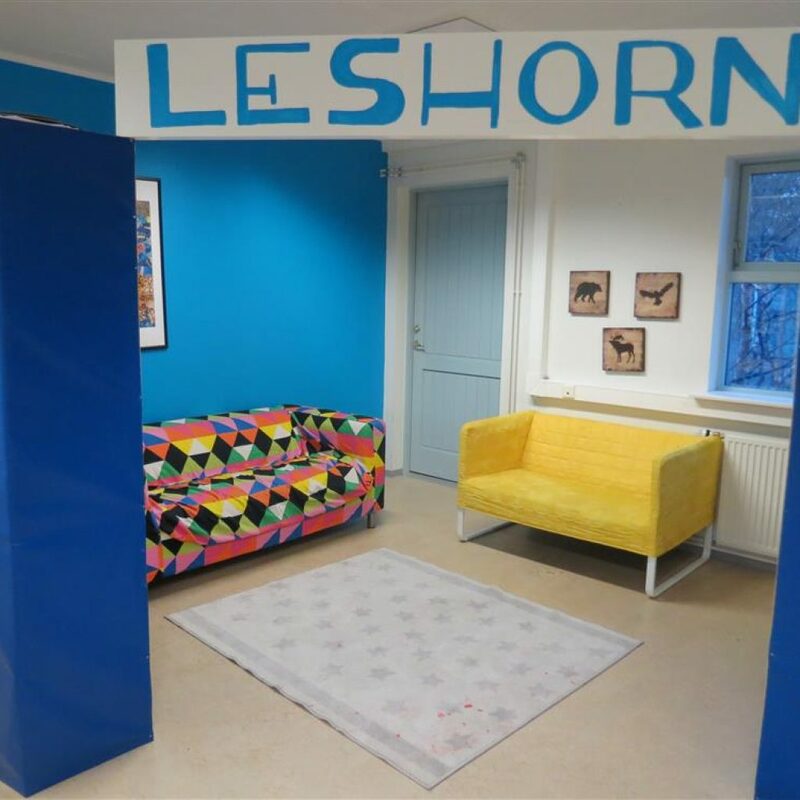 Það sem er í boði er meðal annars leshorn þar sem hægt er að lesa blöð og bækur, borðaðstaða til þess að teikna, lita og föndra og inn í herbergi er svo hægt að dunda sér í Legó-kubbum. Valtaflan okkar færist svo úr skálanum yfir í Gula Selið klukkan 16:40. 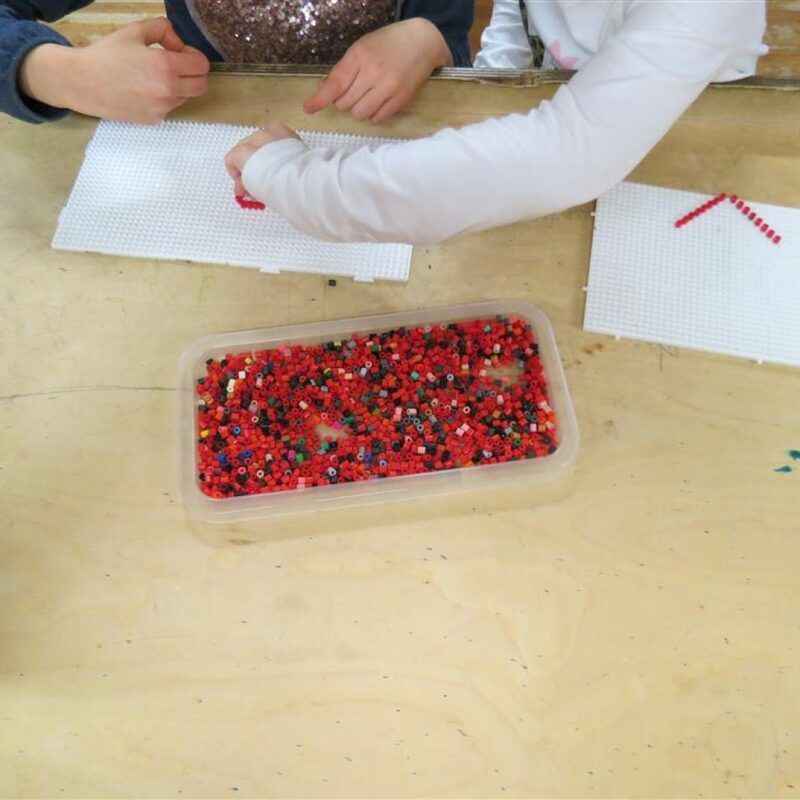 English: Gula Sel is an activity area for kids who want to unwind. 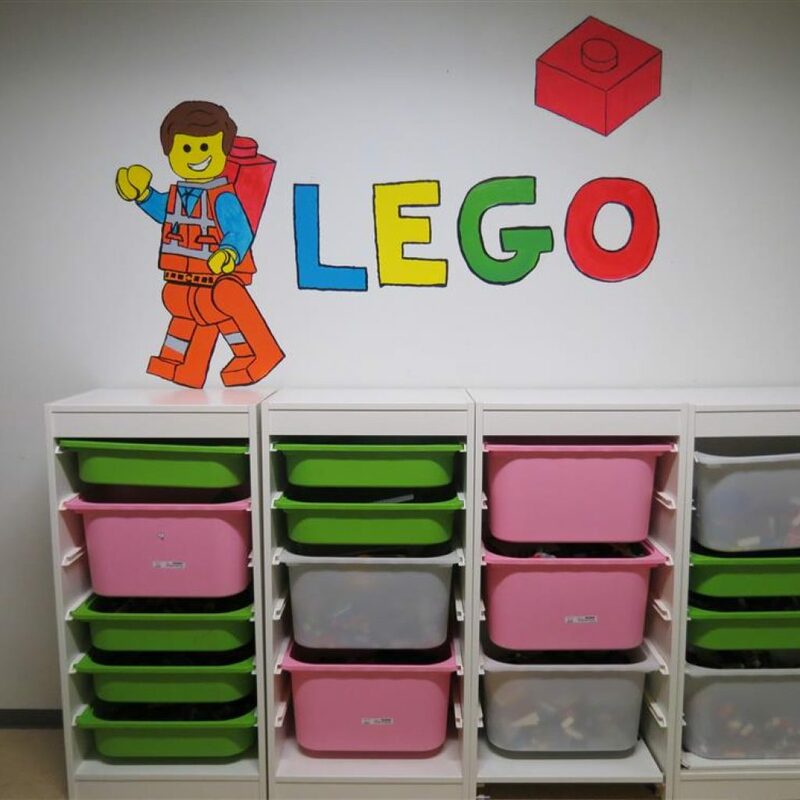 Among other things, there‘s a reading corner where the kids can enjoy comics and books, tables for drawing, coloring, and crafts, and a room where they can play with Legos. Our sign-out table moves to Gula Sel every day at 16:40. Rauða Sel er fjöllistarými Selsins. Rauða Seli var breytt í sumar. Gólfið er nú þakið dýnum og speglar eru á veggnum fjærst hurðinni. Í Rauða Seli er svið og hátalarar þar sem er hægt að syngja og þar er líka bíótjald fyrir slæma veðursdaga. 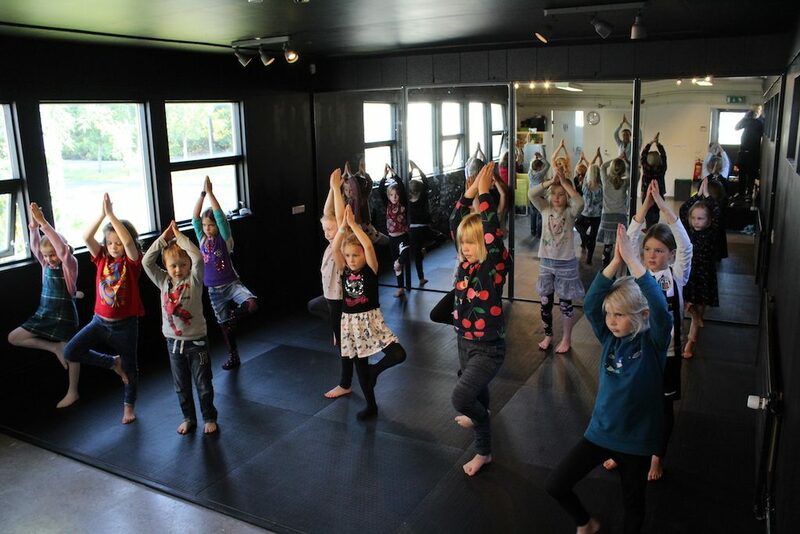 Þar er tilvalið að iðka Jóga, dansa, setja á fót leiksýningu og margt fleira. 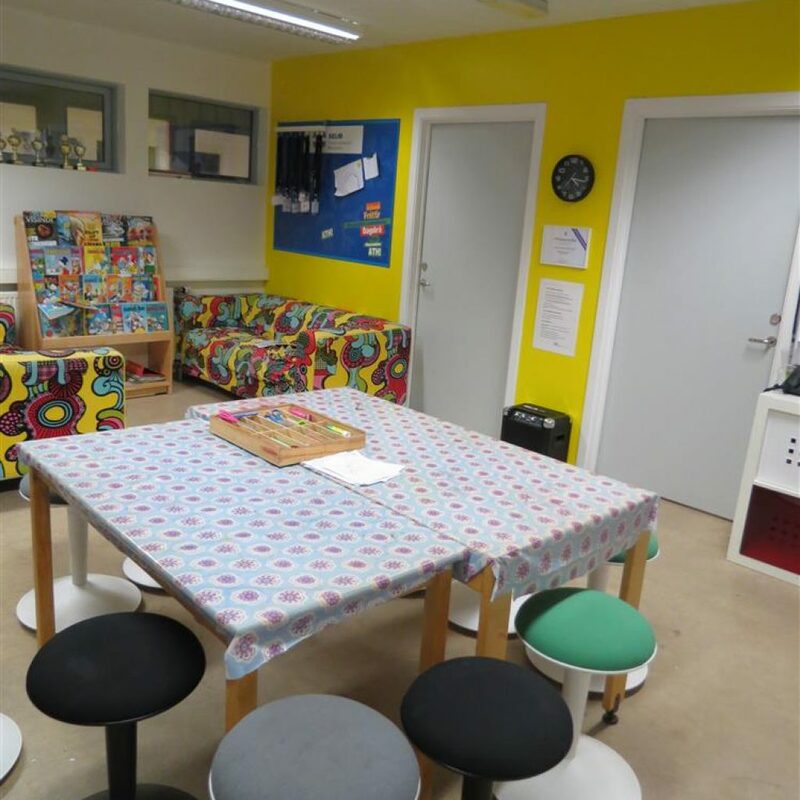 Rauða Sel is an activity area for kids who enjoy being creative. 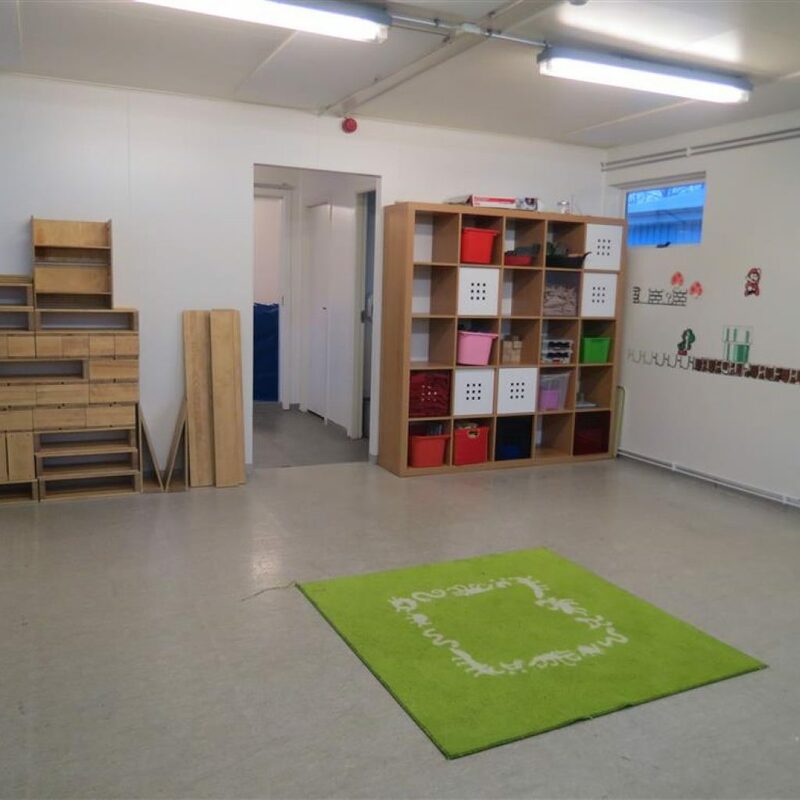 Rauða Sel was changed this summer and the floor is covered in mats and is well suited for dancing, yoga and other such activities. Rauða Sel has a sound system and a small stage good for putting on plays. 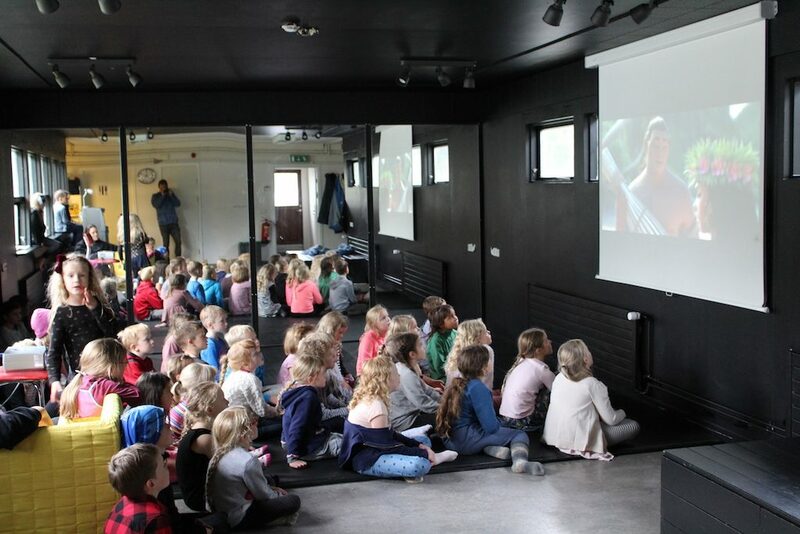 Rauða Sel also has a screen for turning Rauða Sel into a cinema. Græna Sel er valsvæði sem er hugsað bæði fyrir orkumikil börn sem og þau sem vilja fá ró og næði. 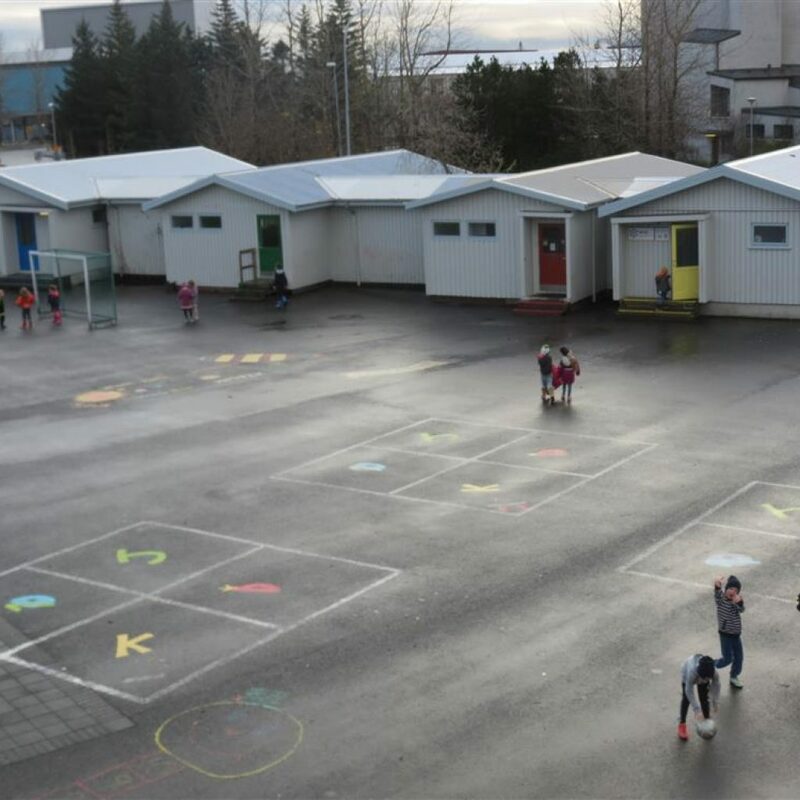 Þau börn sem hafa þörf fyrir hreyfingu og æslagang stendur til boða að fara í boltalandið sem er innst í rýminu. 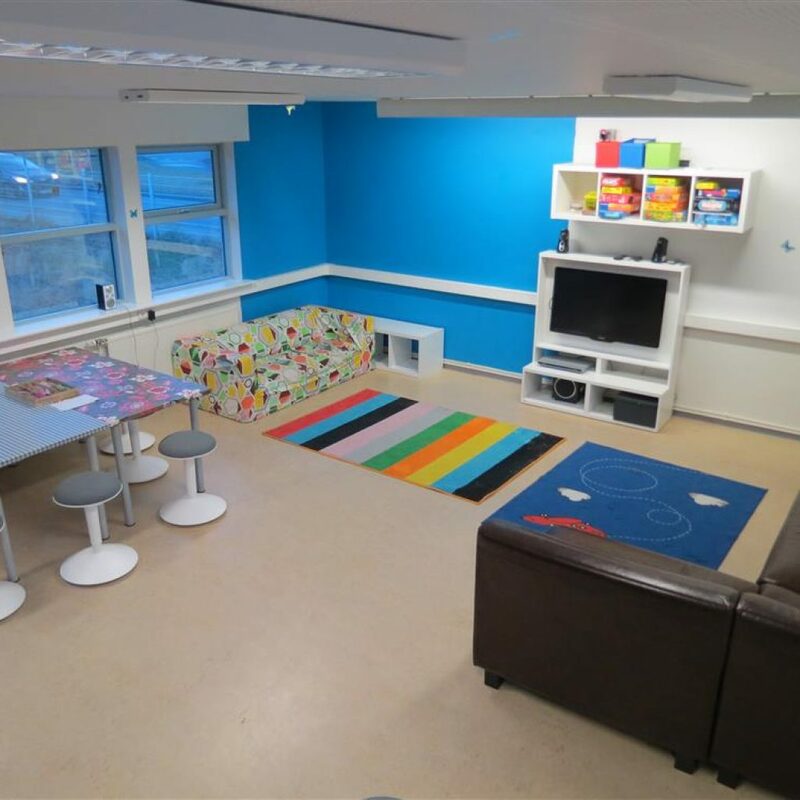 Í boltalandinu er pláss fyrir átta börn í einu og ef eftirspurn er mikil er passað upp á að börnin skiptist á. Hurð skilur að rýmin tvö til þess að takmarka hávaða fram til þeirra sem vilja hafa það rólegt. 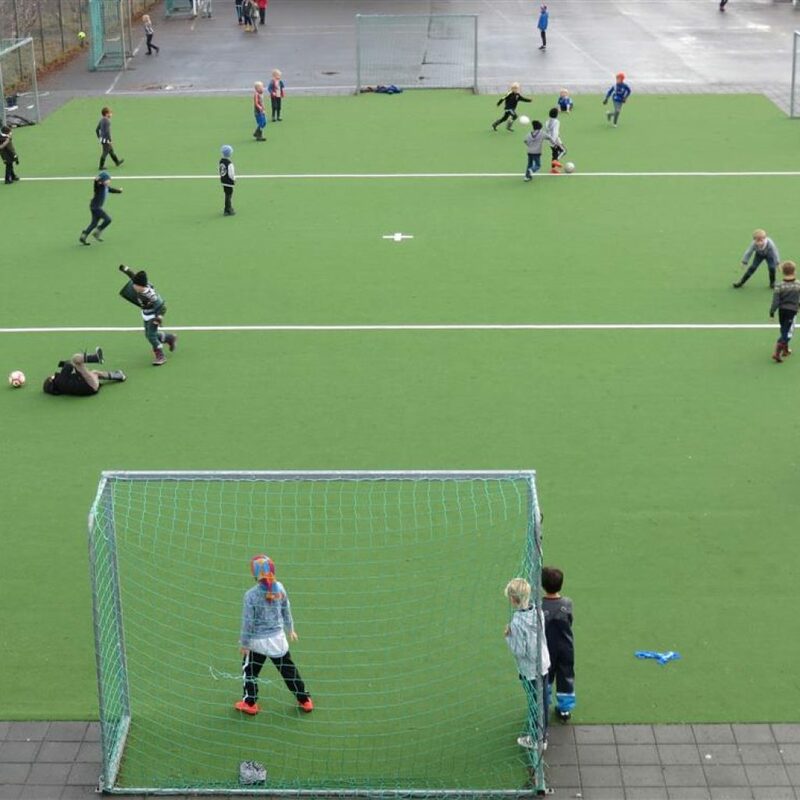 Frammi er mikið úrval af kubbum og dóti sem vinsælt er að byggja hús úr, fótboltaspil og svo er skákborð í hliðarrými fyrir þá sem hafa áhuga. 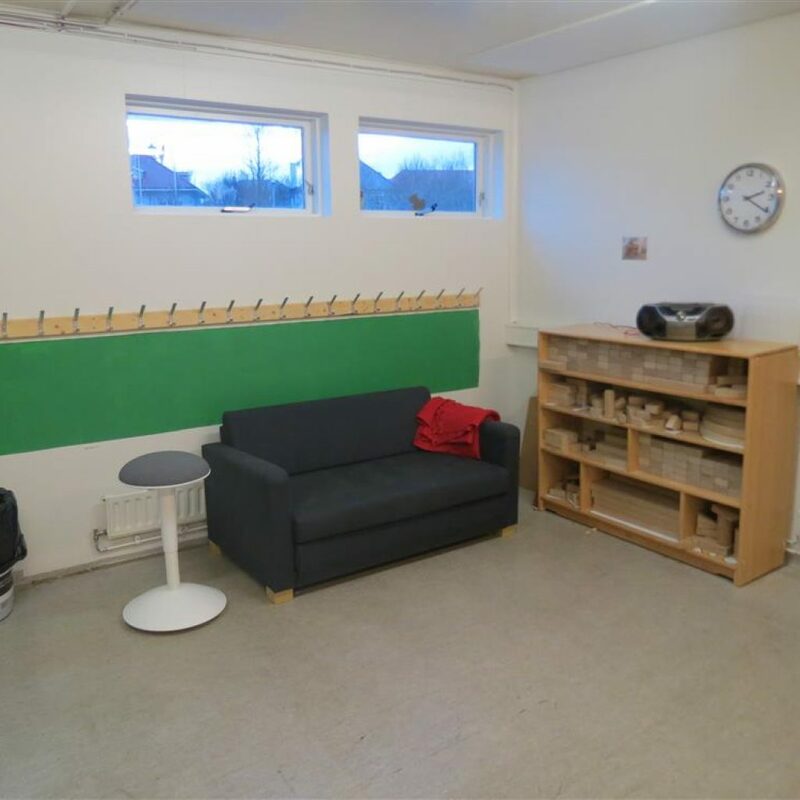 Græna Sel is an activity area for both kids with lots of energy as well as those who want to take it easy. 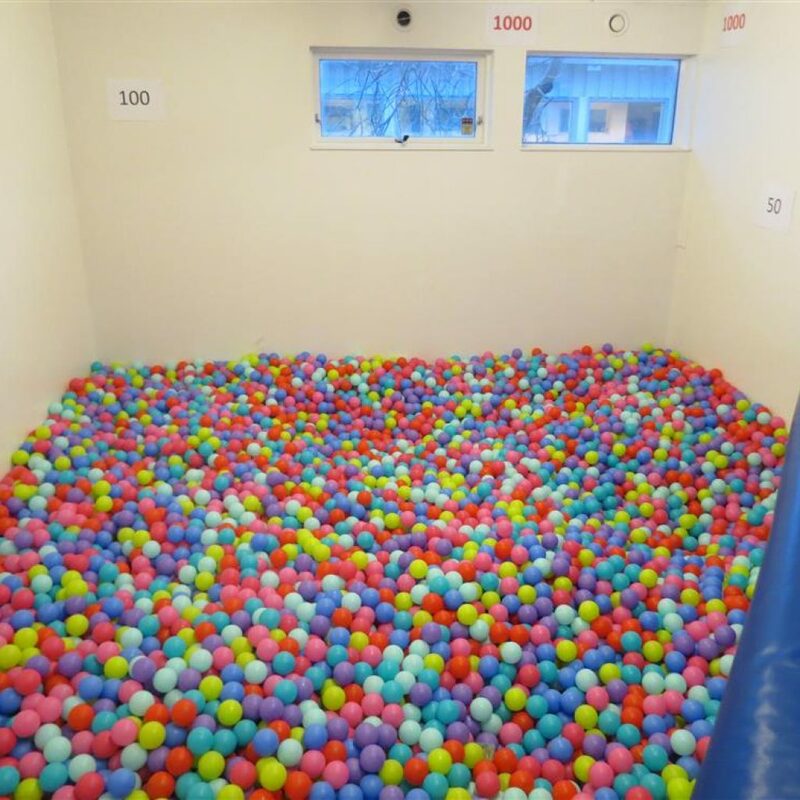 Kids who need some physical activity or to let off some steam can play in Boltalandi, the ball pit at the very back of the room. There is room for eight kids in Boltalandi and, when demand is high, the kids take turns going in. A door divides the room in two to limit the noise for those who want to relax. 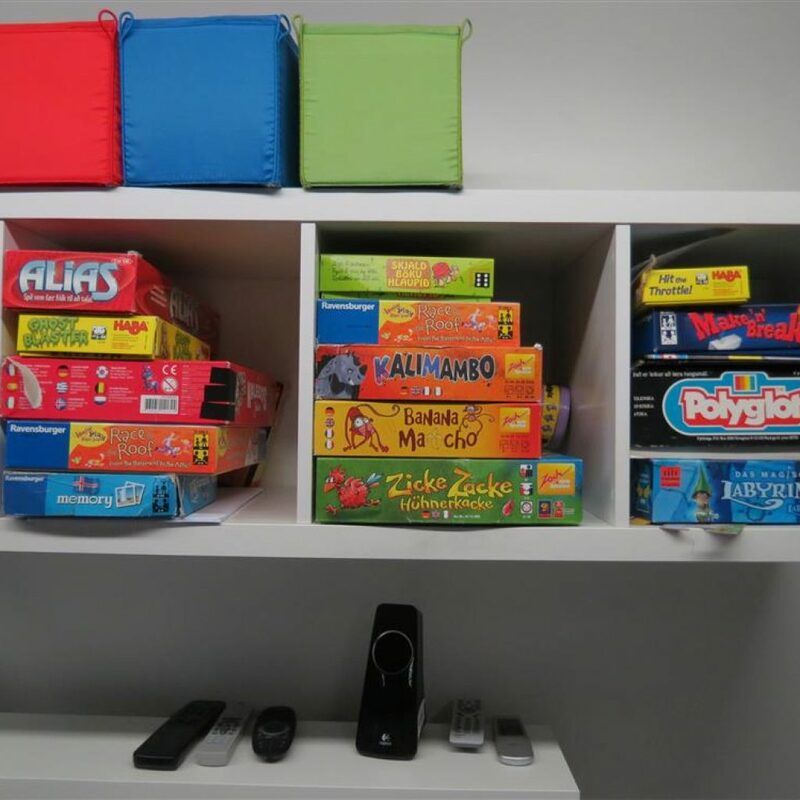 There‘s a wide selection of blocks and toys in front that the kids enjoy using to build forts. 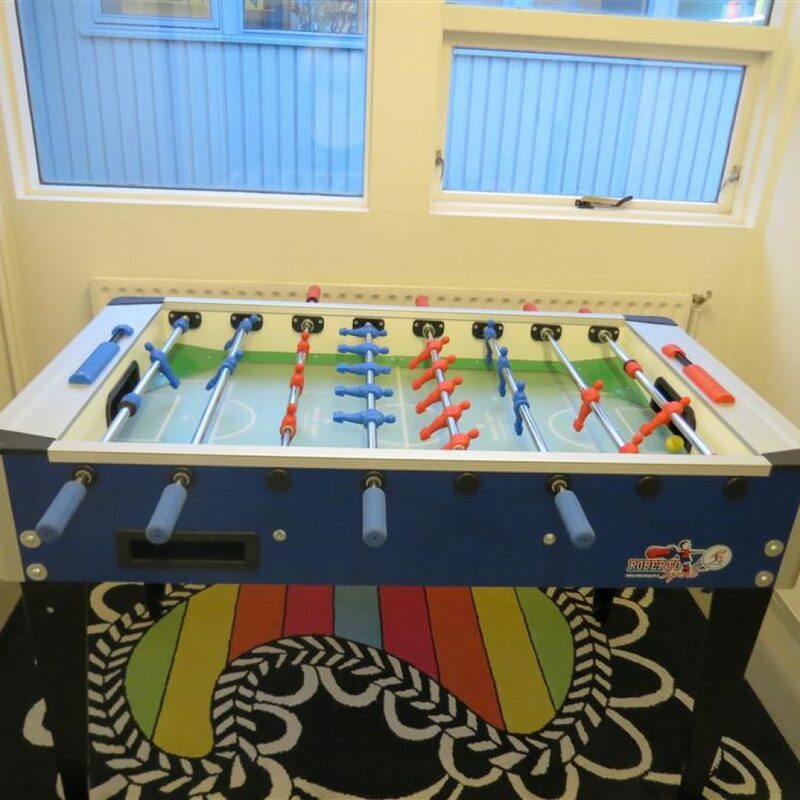 There‘s also foosball and a chess table for kids who are interested. 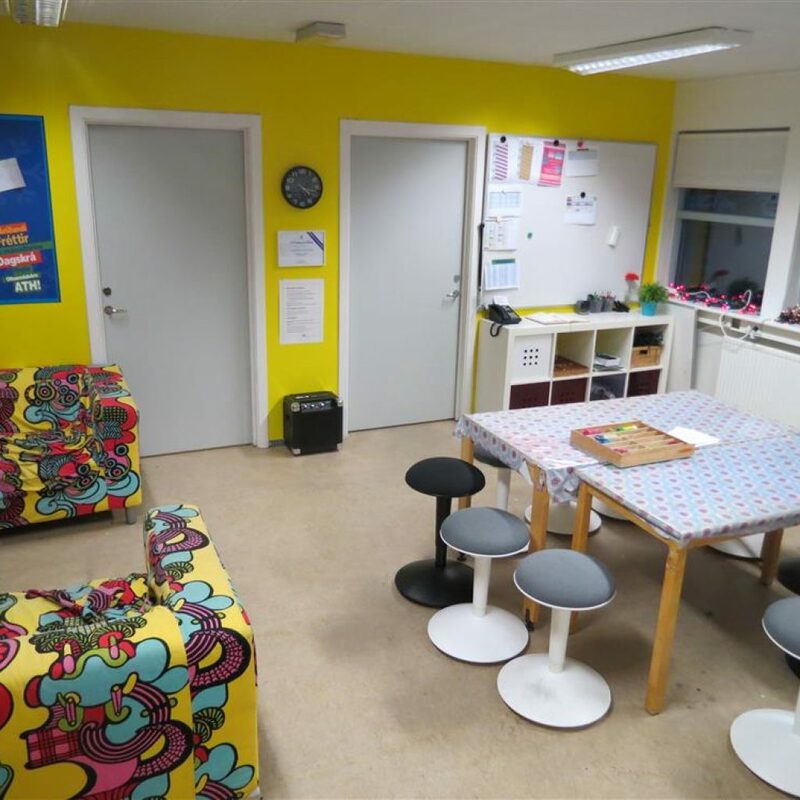 Bláa Sel er valsvæði sem er hugsað fyrir börn sem vilja hafa það rólegt. Það sem er í boði er meðal annars leshorn þar sem er mikið úrval af tímaritum og bókum, mikið og gott borðpláss til þess að teikna, lita og föndra og perla. 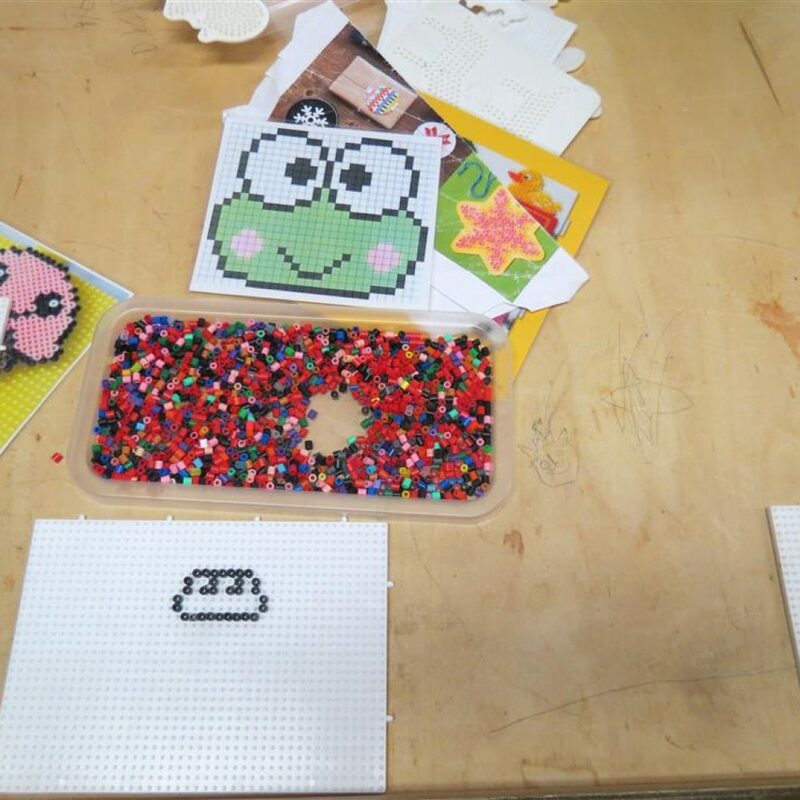 Bláa Sel is an activity area for kids who want to relax. 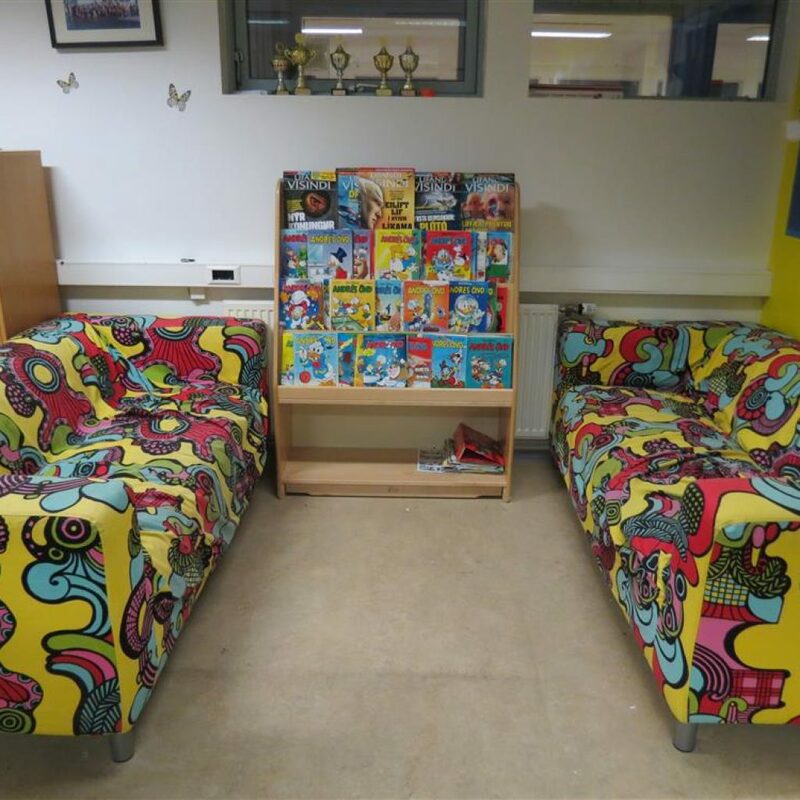 Among other things, there‘s a reading corner with a wide range of magazines and books, plenty of tables for drawing, coloring, and arts and crafts and Hama beads. Leyni Sel er inn af matsalnum á neðstu hæð Melaskóla. Þar eru mörg spil og Leyni Sel hentar vel börnum sem vilja komast aðeins frá skarkalanum og setjast með vinum við spil. Leyni Sel is by the cafeteria in Melaskóli. 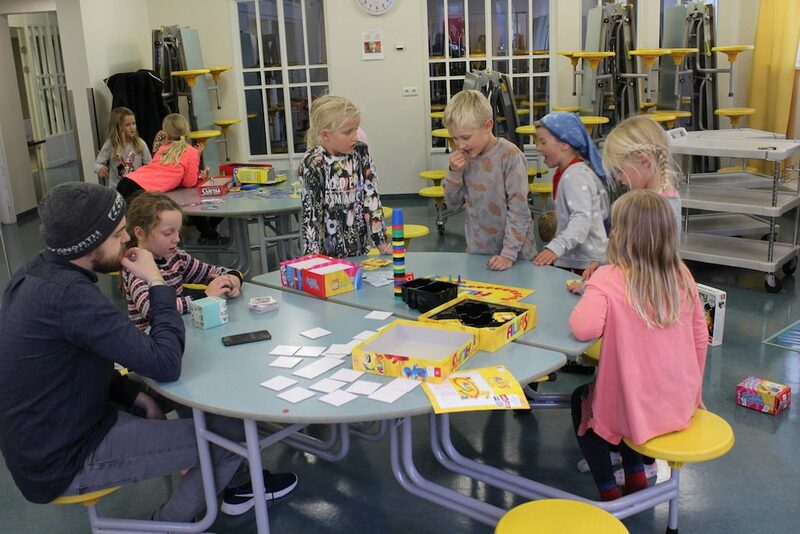 It has a good selection of childrens board games and is suitable for kids that want to get away from the action and sit down and play games with friends. Íþróttasalurinn er valsvæði sem hugsað er fyrir þau börn sem hafa mikla hreyfiþörf. Í íþróttasalnum er ýmist frjáls leikur eða skipulagðir leikir með starfsmönnum. Vinsælir leikir eru meðal annars skotbolti, köttur og mús, og gryfjubolti. 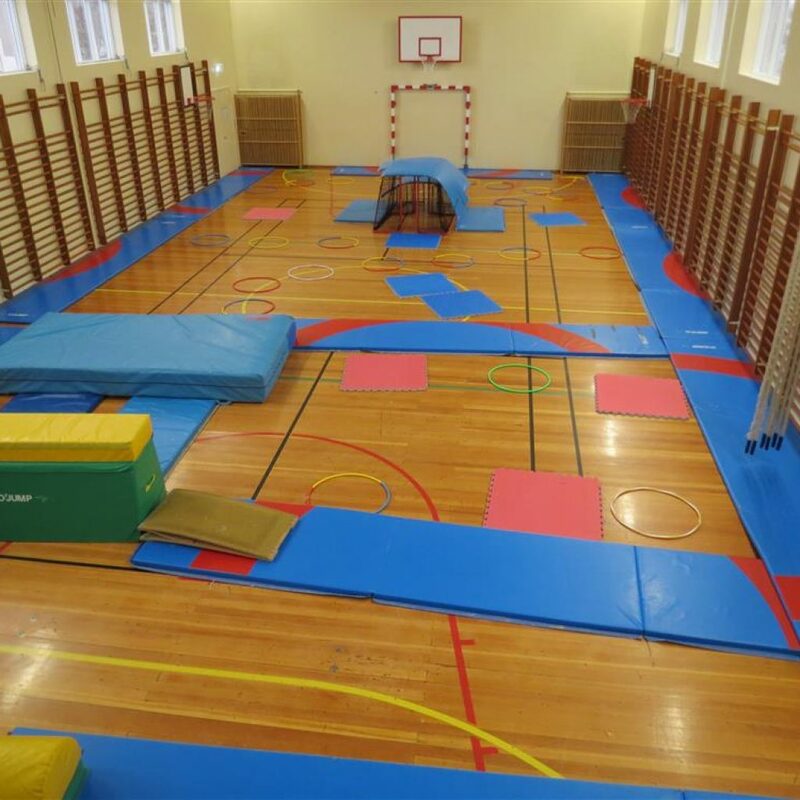 The gym is an activity area for those kids who need a lot of physical activity. 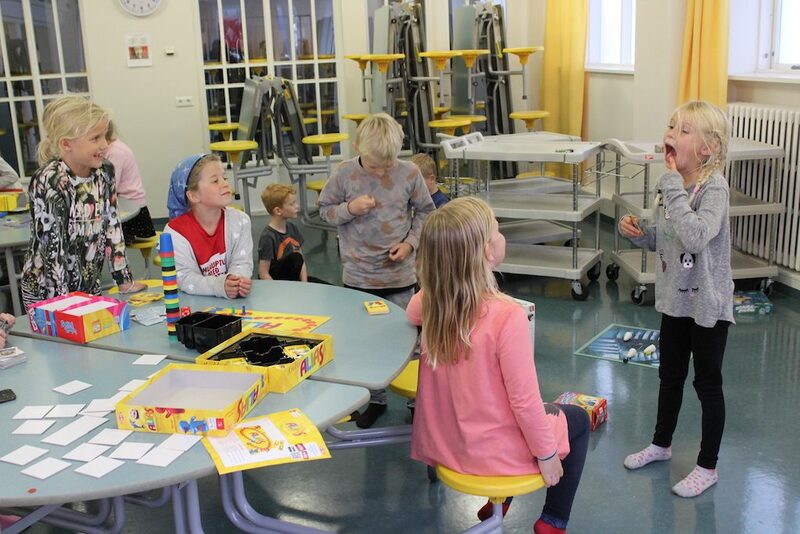 There are a number of free-play activities on offer in the gym, as well as games organized by staff members. Popular games include Dodge Ball, Red Rover, and Duck, Duck, Goose. Útiveran er alltaf vinsælt val hjá börnunum og stendur þeim ávallt til boða að skipta í útiveru af því valsvæði sem þau völdu. 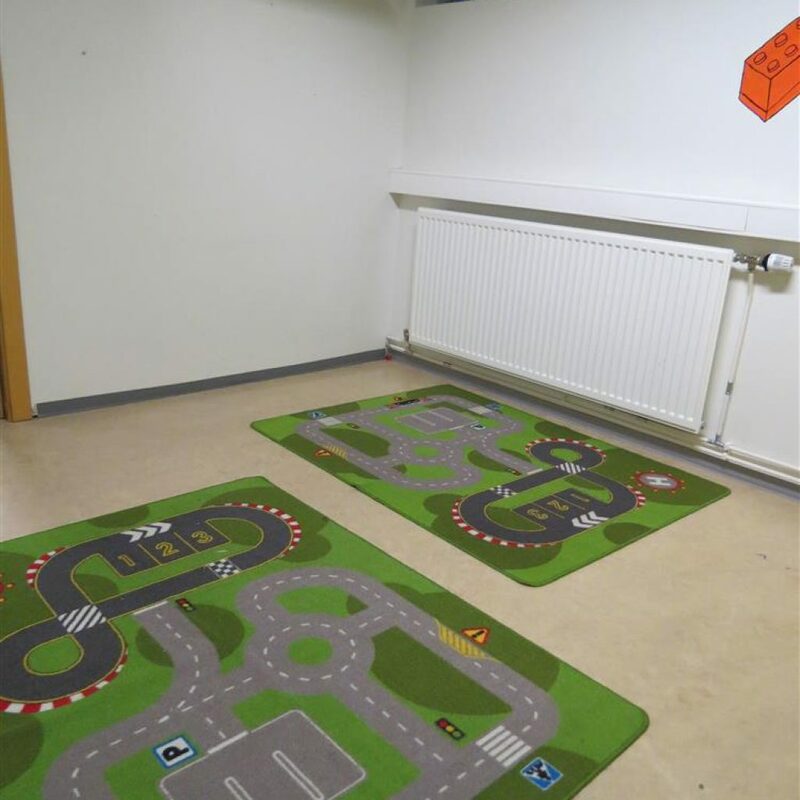 Útisvæðið við Melaskóla er stórt og opið svæði þar sem hægt er að gera margt skemmtilegt en til þess að starfsmenn hafi góða yfirsýn er börnunum óheimilt að fara á körfuboltasvæðið á bakvið Melaskóla (sjá mynd). Öll börn fara í útiveru í upphafi hvers dags og svo aftur undir lokin á meðan birta og veður leyfir. Útivera, or playing outside, is always popular with the kids and they‘re always allowed to go outside if they‘d like to. 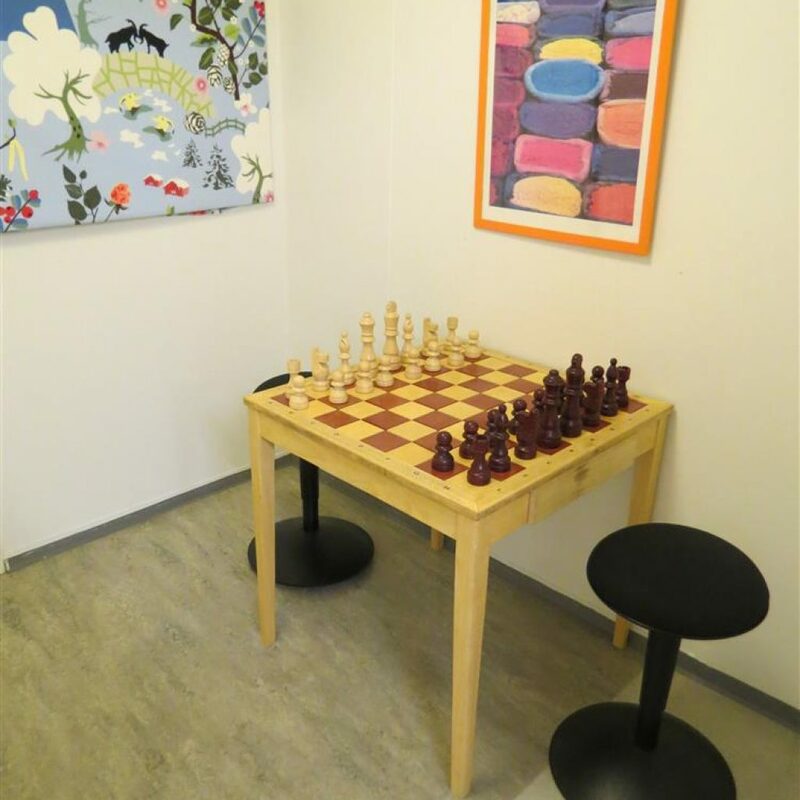 The playground and outdoor area around Mélaskóli is large and open, allowing them enjoy themselves in all sorts of fun activities. 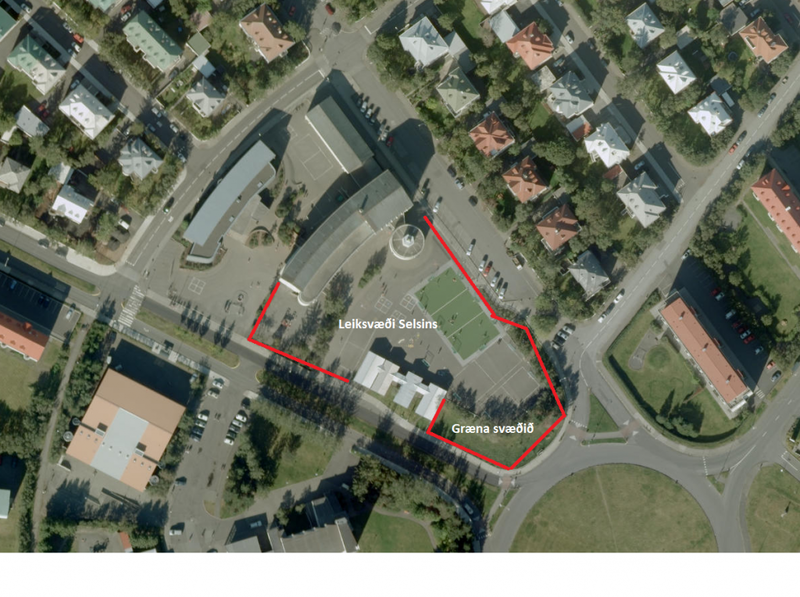 However, in order to ensure that the staff can supervise everyone, children are not allowed to play on the basketball courts behind the school (see ‚bannsvæði‘ in picture). 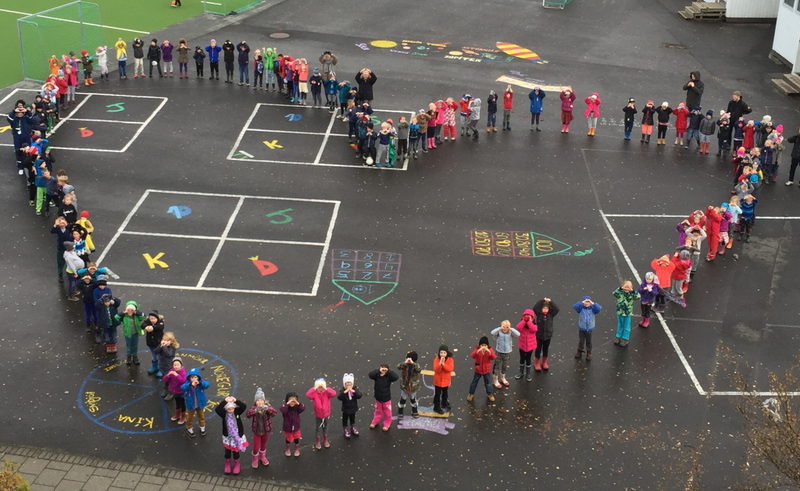 All kids play outside at the start of each day and then again at the end of the day, daylight and weather permitting.